Subhlakshmi Enginnering Work is the leading manufacturer and exporter of a high quality range of SS Hose clamp which are made from high grade raw material. Our product range also comprises of Worm Drive Hose Clamp, Heavy Duty Bolt Clamps and Fix Nut Bolt Clamps.We also provide the product at the competitive price. 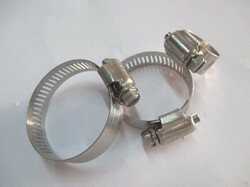 Owing to our extended vendor base, we are able to deliver the quality range of hose clamp to our customers. Procured from reliable vendors, these clamps are offered in various specifications as per the needs and requirements of the clients. 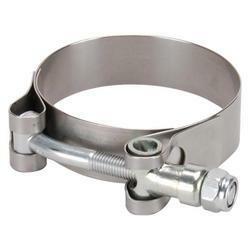 Our vendors make use of quality carbon steel and stainless steel to manufacture these zen worm drive hose clamps. 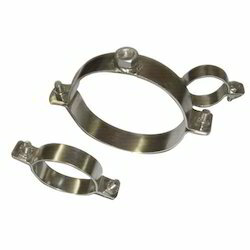 We are one of the established manufacturers and suppliers of Heavy Duty Hose Clamps. These are precisely engineered as per the client's needs and requirements. As these are made of superior quality raw material procured from the trusted vendors, these are highly durable having a longer working life. Our products are availed in different diameters as per the needs and requirements of our clients. Subhlakshmi Engineering is the leading manufacturer and exporter of Stainless Steel Pipe Clamp With Welded Nut which is made from high-quality raw materials.